Ice fishing season is just around the corner, so now is the time to start preparing for that first outing of the winter season. 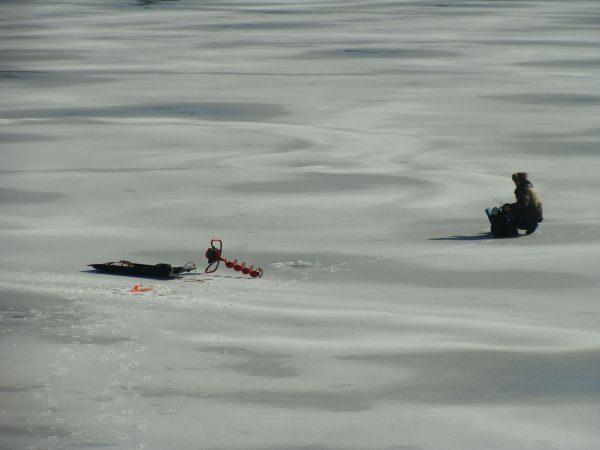 Getting your gear ready now will ensure that everything is in top working order when ice fishing season arrives. Here are seven essentials you need to check as you prepare for winter angling. Winter is harsh on rods and reels, so make sure your gear is in top operating condition going into the season. Check your rods and reels for any damage and repair or tighten any loose or damaged parts. Spool your reel with new ice fishing line and make sure the reels are connected securely to the rods. Tip-ups should be checked as well, to make sure they are operating correctly. Grease the moving parts so they do not fail on the ice. Do not forget to change the tip-up line and tie on new leaders. Now is the time to sort through your jigs, hooks, floats and other tackle to organize it and decide what items you need to purchase for the new season. It is also a good time to sharpen your hooks so the are in top condition for your first tip on the ice. Warm clothing is essential to an enjoyable ice fishing experience. Inspect all your clothing for holes, rips or other damage. Make sure zippers are operating properly. If any clothing needs to be replaced or repaired, this is the time to get it done. If you have a power auger, replace the spark plug; then fill it with new gas. Run the engine multiple times to make sure it is operating properly. Few things can ruin a day on the ice faster than an auger will not start. All blades on your augers should be replaced so they are ready to go for your first tip on the ice. Whether you use a portable or permanent ice house, now is the time to check it so it is ready for the season. Portable ice shacks should be inspected for any damage. Set it up on your lawn or driveway to make sure it is working properly. Permanent ice houses should also be inspected for any damage or rotting wood. Replace any damage and make sure everything is secure to withstand another winter on the lake. If you use a portable heater with your ice shack, it is essential to keep it in proper working condition. It is a good idea to take it to a professional to have it checked, to make sure there are no problems and you will stay warm this winter. Some items anglers forget to check before the start of the season include the minnow bucket and scoop. Make sure there are no cracks or leaks in your minnow bucket and that the scoop is not damaged. Replace them if necessary. Also check the batteries on your fish finder and make sure it is operating properly. Lastly, make a list of any miscellaneous tools you commonly use when ice fishing, such as forceps, pliers or knives, and make sure you have them ready to go.